Reinvention at its finest. 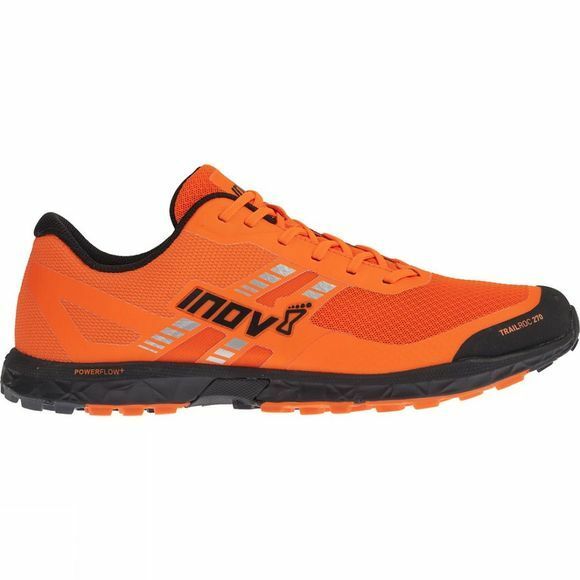 The TRAILROC™ has undergone a complete redesign and is now back in inov-8’s trail running range for AW17. More protection, more support, more comfort, greater energy return and improved grip. The new TRAILROC™ 270 & 285 are now better equipped to deal with all hard-packed trails around the world, no matter how rocky. The lighter model of the TRAILROC™ series is perfect for fast running over hard and rocky trails. Supreme grip and underfoot protection, with a cushioned midsole and lightweight upper combine to deliver the ultimate shoe for running at speed over hard and rocky trails. 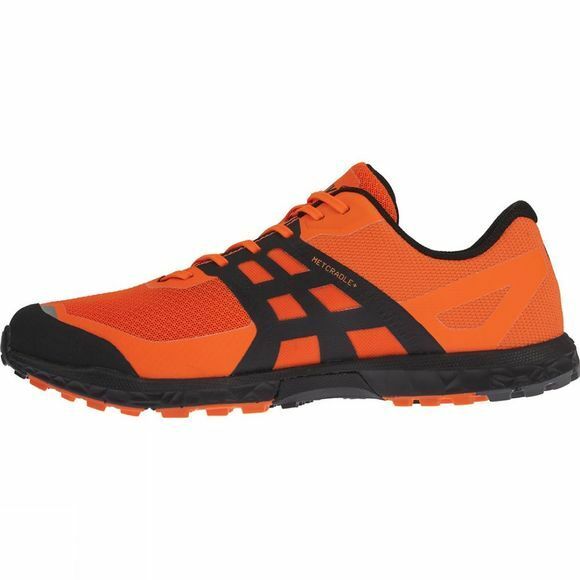 For running on hardy and rocky terrain. Superior grip: The outsole is filled with small studs that cut through any terrain debris and grip firm to the hard trail underneath. Superior grip II: The studs are placed in a pattern that ensures no debris clogs up between them. The many studs also help dispel downward pressure when a runner’s foot lands on the trail. Superior grip III: Using three sticky rubber compounds increases grip and durability. The hardest, most durable rubber is on the heel, with a softer rubber up the centre for increased traction and a medium rubber on the edges for grip and security with every foot strike. Stay protected: 5th generation META-PLATE is a rock plate that delivers the ultimate in underfoot protection, so a runner feels no pain from sharp rocks. The band also flexes with the foot’s natural running gait, delivering a kick of energy with every stride. Stay protected II: Rubber toe cap helps to protect the toes from rocks and other debris that may be accidentally kicked or tripped over when running on the trail. Extra cushioned ride: New Powerflow+ midsole delivers 10% better shock absorption and 25% better energy return than standard midsoles.